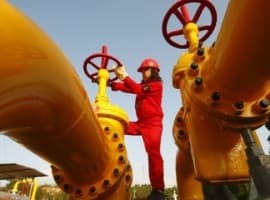 The oil and gas industry is hiring more than it’s letting go for the first time in three years, a new report from recruitment firm NES Global Talent and Oilandgasjopbsearch.com shows. This is the latest sign of recovery in oil and gas after the 2014 price crash, reinforcing the belief that a lot of oil and gas companies have successfully adjusted to the new level of oil prices, which is still more than 50 percent below the 2014 highs. The report’s authors surveyed more than 3,000 oil and gas employers as well as almost 7,000 employees, and found that an impressive majority of 60 percent of employers had plans to hire significantly more people over the next 12 months. In fact, NES Global Talent notes, 2018 will be the first year since 2014 in which there will be more new hires in oil and gas than layoffs. In the last three years, more than 440,000 jobs were wiped out in the industry, but now 17 percent of employers surveyed plan to raise their workforce by over 10 percent, with another 19 percent planning to increase workforce by 5-10 percent in the next 12 months. Only 11 percent of employers have further layoff plans. Oil and gas companies have clearly learned to live with the lower prices, which are now on the upswing, with Brent last week breaching $60 a barrel, the coveted price that OPEC strove for when it agreed to cut 1.2 million bpd in daily production at the end of last year. With a tighter capital spending program and a much stricter cost discipline, many E&Ps are not just surviving but expanding production. In some places, such as the Permian—the hottest spot in the U.S. shale patch—this has brought about a new challenge: finding enough new hires, as a lot of those workers who lost their jobs amid the crisis have moved on to other careers. Related: Are Coal-Fired Power Plants Set For A Boost? A recent story from the Houston Chronicle details the problems oilfield service providers face now that their workload has increased substantially and qualified workers are hard to come by. One such company, Byrd Oilfield Service, is losing an estimated $7,000 a day because it can’t hire truck drivers fast enough to deliver equipment to its frac crews in the oilfields. This situation was only to be expected: When oil prices crashed, everyone in the industry started laying off workers. That was the knee-jerk reaction of an industry that for decades followed the growth-at-all-costs approach to business management. But while these layoffs helped many companies survive, they also became a ticking time bomb. Not only did a lot of workers change careers amid the price downturn, but also many high school graduates scrapped their plans to pursue oil and gas-related degrees in higher education. This is now worrying analysts and investors alike. The problem may seem like a short-term one and workers might start flocking back to oil and gas when employers offer them more money. But it is just as likely that many people will refuse to return to an industry as fickle as oil and gas. That would be a long-term problem that, according to industry executives, could cripple oil and gas for decades to come. Wow. After three years of layoffs and uncertainty, the oil industry can't attract new workers? Oil: "Why don't you come and work as an electrician/welder/skilled trade in the oilfield?" New High School Graduate: "Hasn't that industry been terrible for the last three years? It is stable? Is it a growth industry? Why would I do that?" New College Engineering Graduate: "Hasn't that industry been terrible for the last three years? It is stable? Is it a growth industry? Why would I do that?" Oil: "Yeah, you're correct. It's been terrible since Christmas 2014. It does go well for eight years and then tanks and we lay everyone off for for about two and then starts all over. But, that's the way it works and we're used to it."